Don't forget that our shop is getting a facelift and will be available again on January 1st. Until then, play with the stamps you have and we will see you in the New Year! Hello! Have you ever come across a sentiment that can be used for any occasion? Leave a little sparkle wherever you go is just that sentiment. This could be used for encouragement, think of you, go get em girl.. just about any occasion this stamp will cover. 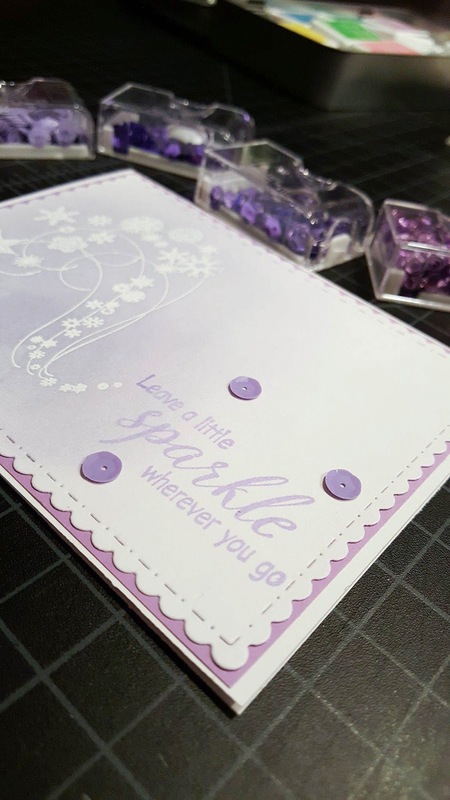 I use my MISTI for almost every card. I love to know that my stamped image or sentiment is going to be perfect. 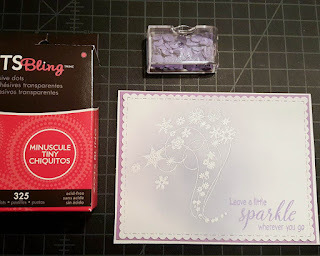 I used white embossing powder so that I could place some purple over my image. Heat set that image. 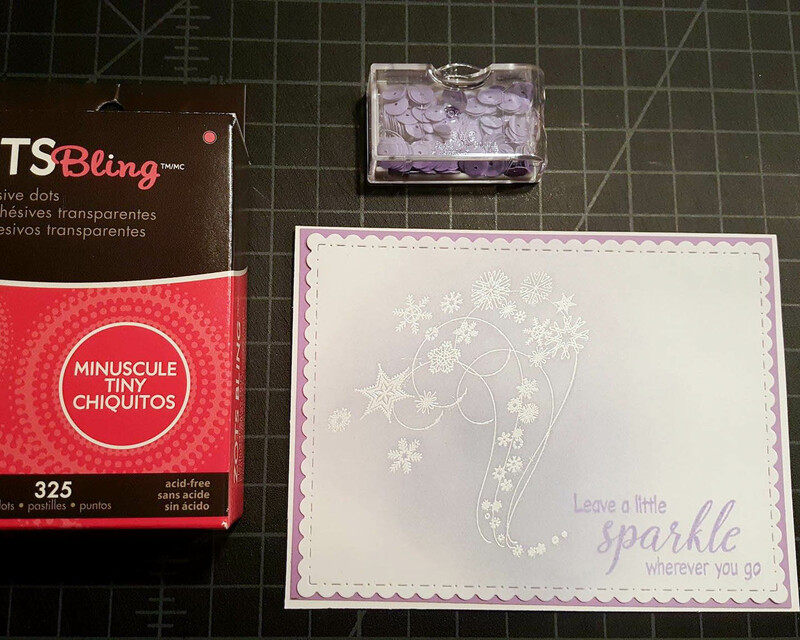 I used Lucky Lavender for my purple on this card. I used the Ranger Ink Blending tool to do so. I am far from a pro with this tool, but I do enjoy using it. I love to watch Justine Hovey’s YouTube channel for inspiration. 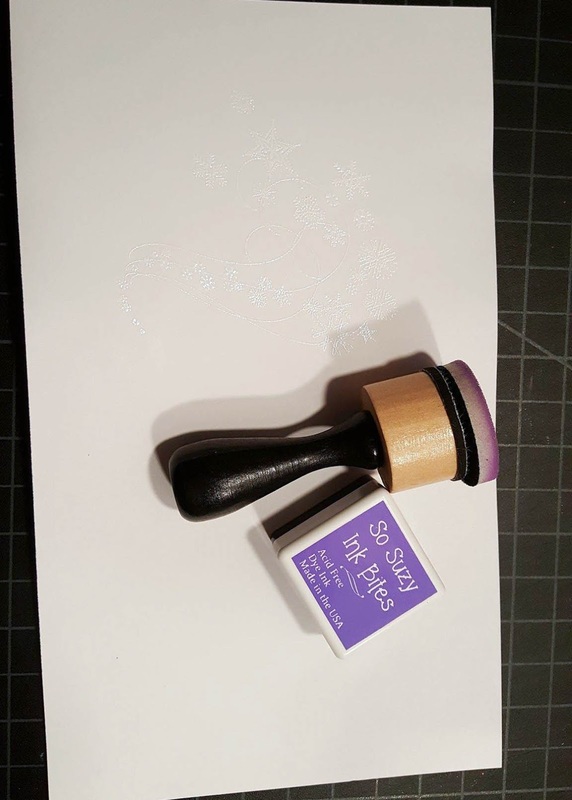 Next we will stamp the sentiment. 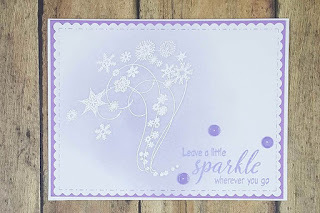 I wanted the sentiment to be super close to the snowflakes so I again used the MISTI for the right placement. I used Lucky Lavender for this. Finally, I used a few sequins for the added look. 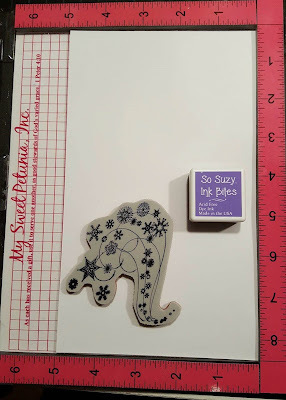 I love to use the ZOTS for my sequins. They hold very well. 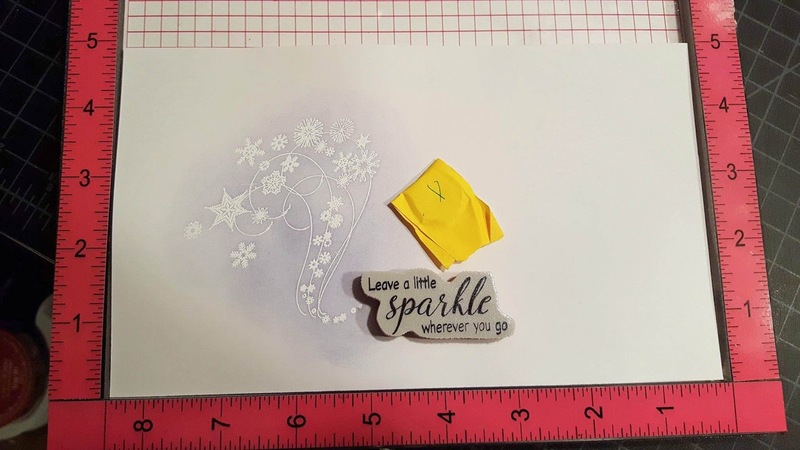 The final card came out super cute. You can check out the other options such as the blowing snowflakes. 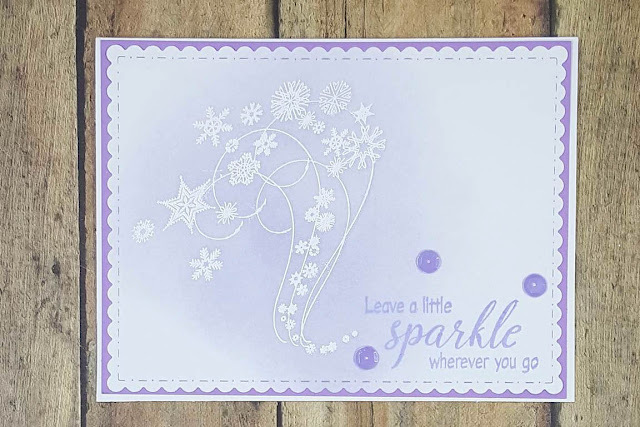 The other options can make this card an all occasion option. So pretty! Love your inking.